We recently discussed the influence of live streaming on social media, the many amazing platforms that offer the feature and the impact it can have on boosting your channel’s fan base. 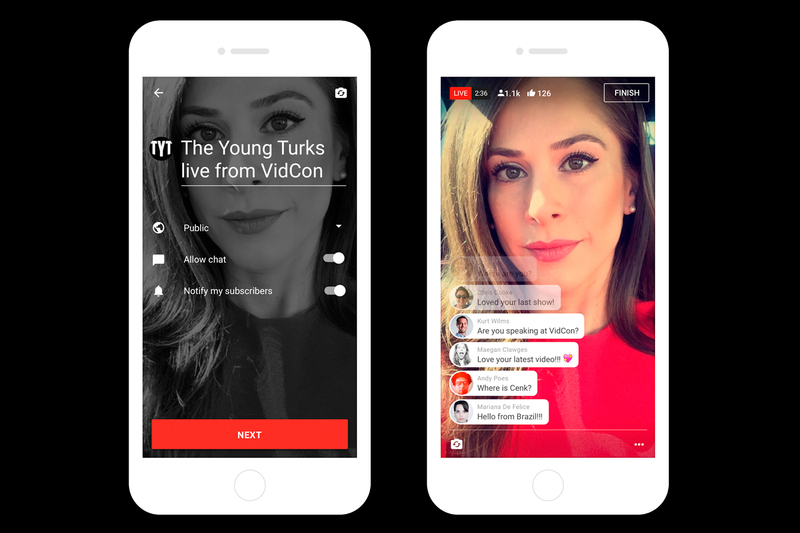 Now, YouTube has upped their stake in the live streaming game by allowing channels to create live events on mobile. The feature launched last month at VidCon for select creators and is expected to roll out more widely soon. Before it does, here’s a rundown of what you need to know. While YouTube has had live streaming capabilities for a while now, this is the first time they have made it available for use on mobile, which further advances them as a viable force in the digital media arena. YouTube introduced live streaming intermittently back in 2010 to broadcast special events (popular concerts, sporting events, political affairs, etc.) via their central hub. Then in 2011, YouTube Live was launched, which gave creators the opportunity to personally make live streams on their designated channels. As the platform has grown, YouTube has worked to finesse and diversify live streaming by integrating it into interactive areas of the platform such as their YouTube Gaming app. Once rolled out wide, the feature will be available in YouTube’s mobile app and creators will be able to go live by pressing a single capture button on their mobile device. This will make the video stream instantly available on the creator’s channel. As the live stream begins, the creator will be able to view their real-time video recording on their mobile screen and viewers will be able to make comments, which will show up on the side of the screen at the same time. YouTube’s mobile live streams have the same search and sharing options of regular uploaded videos. To better promote the content, creators can add their streams to playlists as well as have them show up in recommendation sections. Just like with regular videos, live streams created through the mobile app will be searchable on YouTube via their title, keywords, etc. Creators will also be able to monitor unlicensed uploads of their live streams. In addition, if the creator wants to add an element of exclusivity to the mobile stream, they can set it to private so that only subscribers or viewers with the specific link can view the stream live. YouTube has also mentioned that their mobile live streaming option will be “peerless,” meaning it will not be affected by a peer-to-peer network. This will allow the mobile feature to work faster within the YouTube app and with cleaner functionality. Live streaming allows fans to witness events in real-time and the unpredictability of “what could happen next?” heightens the intrigue for the viewer. YouTube and other platforms are taking advantage of this concept by live streaming provocative events that have strong impacts on our society. This has been done most recently with the upcoming 2016 Presidential Election in which YouTube has live streamed debates, the national conventions and exclusive interviews with notable political figures. 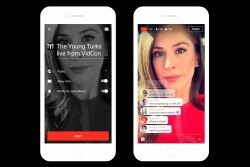 YouTube has actually enlisted some of their most popular creators, such as Mark Watson and The Young Turks, to use mobile live streaming as well as other YouTube features (i.e. VR cameras used to create 360 videos) to cover election-related events. Mobile live streaming on YouTube is currently only available for select creators and has not yet been implemented across the full platform. That said, the fact that YouTube has put in the effort to transfer live streaming to mobile proves how essential mobile is to the video-sharing site and the entire digital video market. Live streaming gives viewers a living, breathing look into a creator’s current state of being; now that this can be captured on mobile, it makes the experience that much more real.